Staying in Austin after Family Orientation? Take advantage of this time to explore the UT campus and all that Austin has to offer. Below, you'll find recommendations for things to do on campus and beyond. Click here to learn more about the many campus destinations such as the Blanton Museum of Art, Harry Ransom Center and the LBJ Presidential Library. Student-led walking tours of campus are available free of charge on most Wednesdays afternoons. Tours are 1.5 hours and cover roughly two miles, so please be prepared to walk outside in the Texas summer heat. Click here to learn more and to register for a tour. The #BleedOrangeLiveGreen walking tour is a great way enjoy campus while learning about sustainability in and around the Forty Acres. Developed by the UT Austin Office of Sustainability, this self-guided, self-paced tour takes about 50 minutes and covers roughly 2 miles. Click here to learn more. Families attending orientation are welcome to use the Recreational Sports facilities during each session. Simply present photo ID and indicate you are on campus for Family Orientation. Children’s hours will apply for those ages 15 and under. If you have questions, please call 512-471-6370 or stop by the Recreational Sport's office in Gregory Gym, Room 2.200, weekdays 8 a.m.–5 p.m. Visit UTRecSports.org to learn more about the facilities. Get to know the city that your student will soon call home. 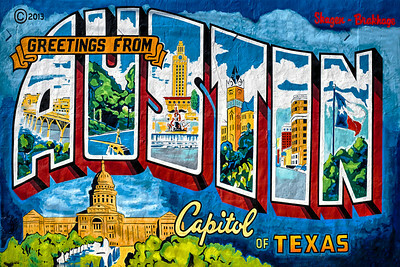 Check out some of our favorite places to eat and things to do in Austin.